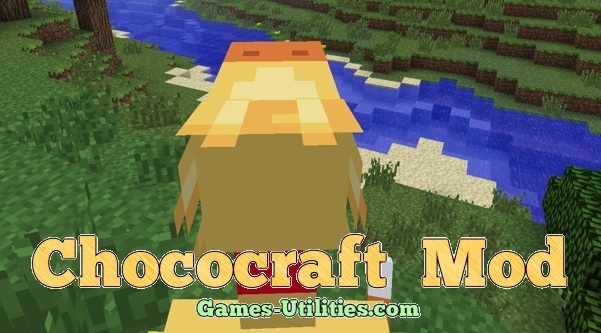 Chococraft 1.13.2/1.13.1/1.12.2/1.11.2/1.10.2 is a modification for Minecraft that adds a mob called Chocobo in your world. 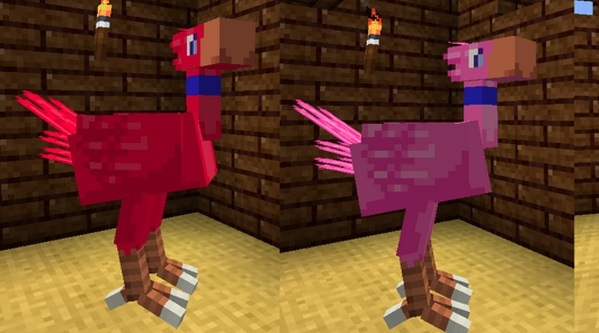 Chocobos have many types and different colours that represent their speciality. They are usually wild mobs, but you can tame them using Gysahl Greens plant. If you are familiar with the EddieV’s mod so this is the continuation of that mod and now Torojima has taken over it. The more details related to this mod is given below. Adds 9 types of Chocobos: Yellow, Green, Blue, Black, White, Gold, Pink, Red and Purple. 3 Secret Chocobo types, play to find out! Chocobos can heal, if you build them an area covered with straw and equipped with a water filled cauldron. Description: A custom entertaining mod for Minecraft. Install the latest Forge API according to your Minecraft version. With Forge installed, put the ChocoCraft .zip file in your minecraft “mods” folder (in zipped form, not extracted!). This mod is compatible with all the popular mods such as Forge, TMI, ModLoader, NEI etc. There are two config files, both located in the config folder in the main minecraft folder. 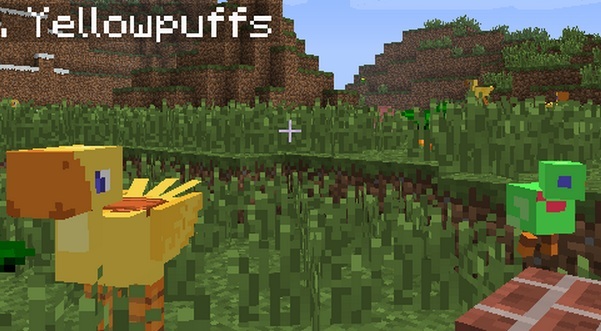 One is called “chocobo_config.txt”, the other one “ChocoCraft.cfg”. You can edit them to change the functionality of mode inside game. The tool itself is a great fun to play which are clearly visible by the images above. If you are having issues downloading this mod or any bugs or errors. Feel free to share it here..